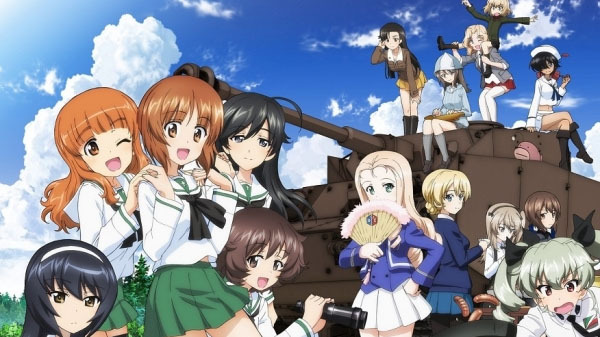 Last year I took a look at Girls Und Panzer: Dream Tank Match on the PlayStation 4. I found it to be a lot of fun for fans of the series. 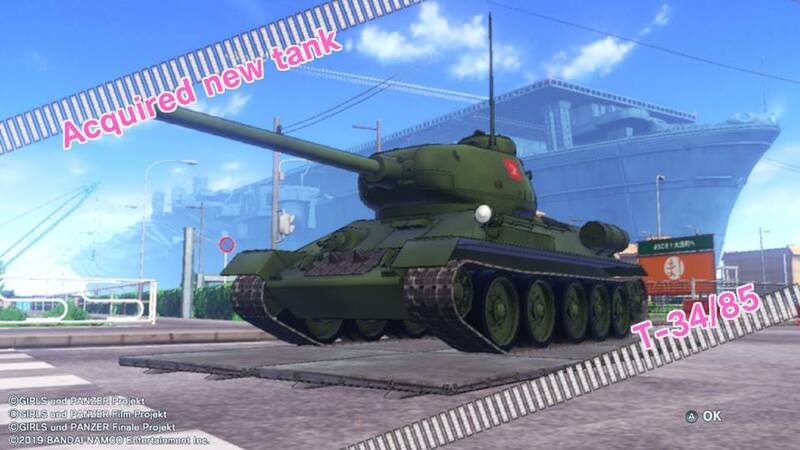 The game has been re-released for the Nintendo Switch as Girls Und Panzer: Dream Tank Match DX. This version had some new modes and goodies for players to enjoy and of course is portable thanks to being on the Nintendo Switch. This review mostly focus on performance of this version of the game and new content. If you want to know more about how the game plays, check out my review of the PlayStation 4 version. Graphically this version of the game looks pretty good on the Nintendo Switch. The graphics are still great with the character models and tanks looking great. Undocked you can tell the graphics aren’t quite as crisp as the PlayStation 4 version, but its not enough to really hurt anything. I didn’t really run into any performance issues. The framerate is pretty steady docked or undocked, so you will be blowing up tanks smoothly. One of the new features I really loved was the addition of HD Rumble. I know you’re thinking they just tacked this on as gimmick, but it’s actually really useful in this game. When you are fired upon the controller will rumble on the side you are taking fire from. This is really handy if someone is firing at your blindside. There is also a good amount of rumble when you fire at the enemy as well. You feel the force as you blow poor Boko to bits! 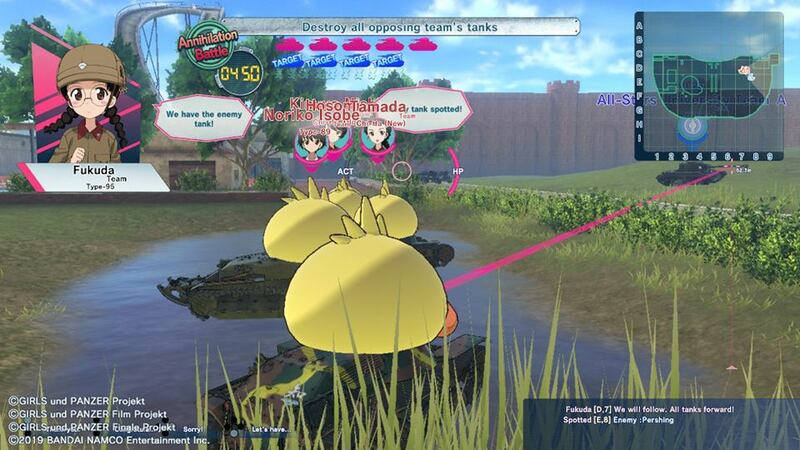 The other big addition to this version of the game is the Panzerfahren Festival mode. This is a tournament mode where you start off with two tanks then add one tank from the opposing team every round. By the end you will have a five tank team to take on a mega boss that is completely unfair. Why it is unfair, you ask? Well, because it kills whatever tank it shoots at in one hit, and you may or may not be the flag tank. This means you can spend all that time getting there for one of your CPU controlled tanks, that randomly got to be the flag tank, decides to kamikaze the last boss. This is game over and all that for nothing. The idea behind this is really cool, but the execution is very lacking. Not all of the new content is a bust though. There are new extra missions to take on, new tanks to unlock and even some new costumes straight from the movie. They even included Alice’s Oarai Girls’ costume from the OVA. 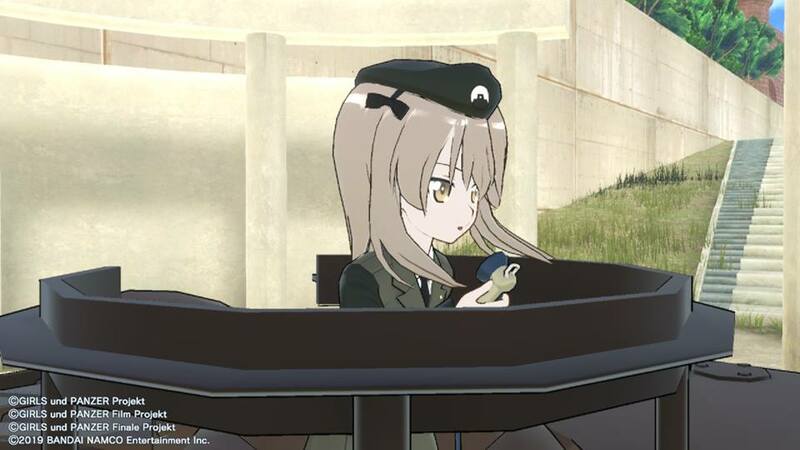 She’s almost as cute as Katyusha, almost. There is also a new opening theme for players to enjoy. All in all if you own the PlayStation 4 version of this you can get the new content via DLC, so you’ll probably want to skip this. If you don’t own the PlayStation 4 version, are a huge Girls Und Panzer fan, or just want to play it on the go, this is a great option for you. It does come at steeper price than usual with an import running $72.99 on the Switch. You can snag this on PlayStation 4 from Play-Asia for much less at $38.99. In the end, no matter which version of this you buy I think you’ll have a lot of fun and I do recommend anyone that is a fan of the series or that loves tank combat games to check it out. Game was provided by Play-Asia. Links in this article are affiliate links that help fund the site.